Come take a look at this beautiful 4br/2.5 bath home with its cool, cool pebble-tec pool...the bedrooms are spacious with wide halls, neutral 16'' tile in traffic and wet areas and an open Kitchen w. a handy Island and stainless steel appliances, a breakfast nook overlooking great room w/ its own cozy, wood-burning fireplace. Formal dining & living room. 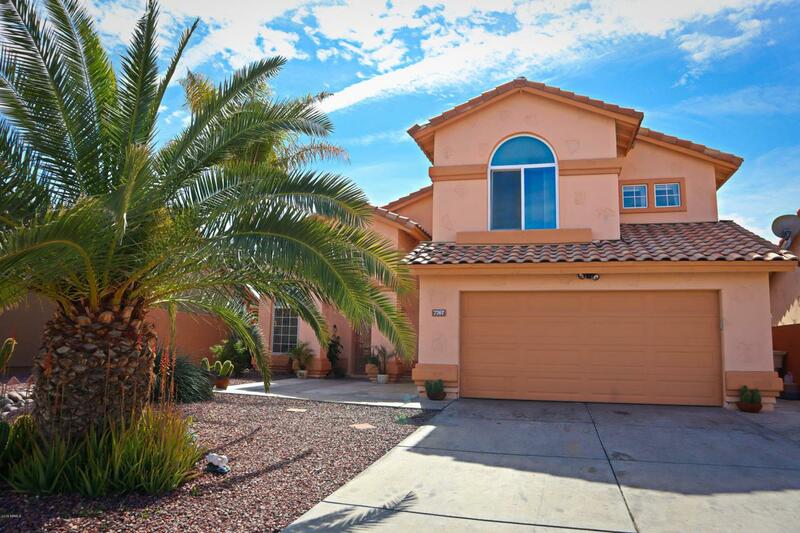 Large master w/separate tub & shower, dual sinks, and spacious walk-in closet. Open vaulted ceilings that bring in nice natural light with perfect North/South exposure. Schools & parks within the neighborhood and very near new stadium and the Westgate Entertainment District...Buyer to verify all information and measurements. 2016: Painted outside, new tile and 13 energy efficient windows installed.2017: Back porch stuccoed.